Truth or Dare is one of our party games for kids that tweens love to play at parties and get-togethers with their friends. But when left on their own to come up with questions and dares- the game can sometimes run away from them- with questions getting more and more personal and dares becoming bolder to top the last dare that was offered. 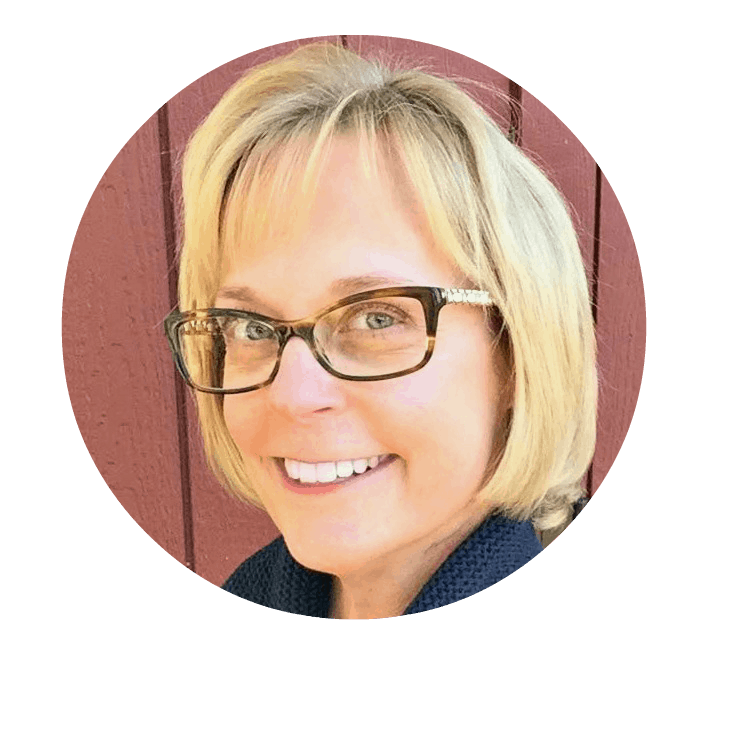 So a little guidance is helpful and welcomed! 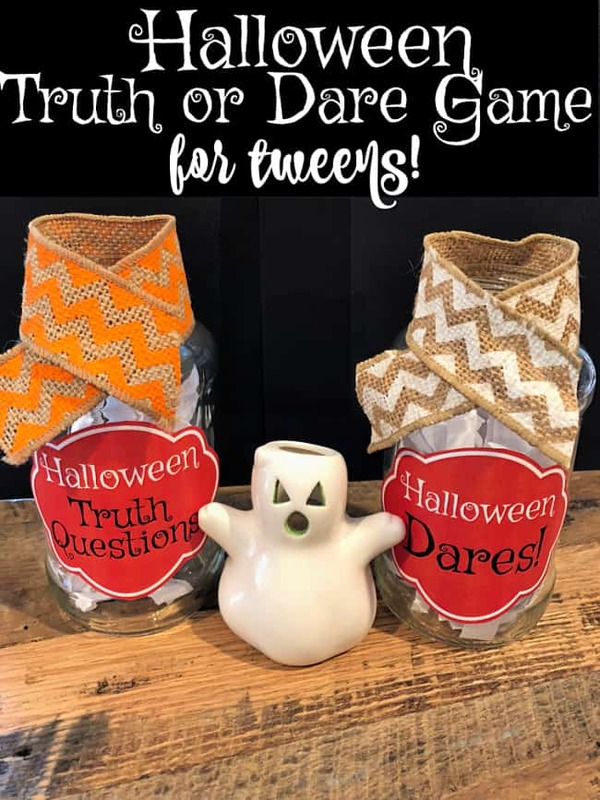 Which is why I think you'll love this Halloween Truth or Dare game for tweens! This Halloween Truth or Dare game is super simple to set up. 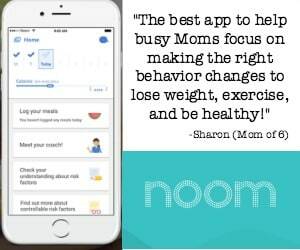 Just sign up below to receive the MomOf6 newsletter (filled with lots of helpful tips for busy Moms managing busy lives!) and then download the free printable game. Cut the truth questions and dares into strips (I like to use my paper cutter for this task), and then fold each strip in half and place into two glass jars (truths in one jar, dares in the other). I used recycled pasta jars for this and then applied the jar labels that are included in the game download. I added some ribbon to the top of each jar to make them pretty- but the entire set up takes just a few minutes! Then be sure to check out this list of The Best Backyard Games for Tweens This is an affiliate link: MomOf6 earns a commission if you purchase, at no additional cost to you. 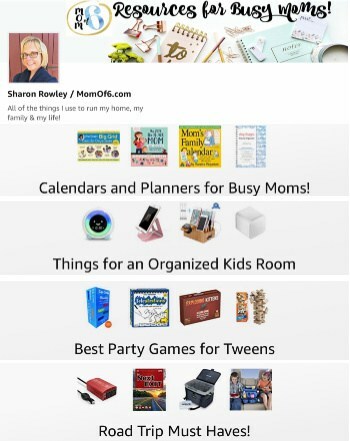 and The Best Party Games for Tweens This is an affiliate link: MomOf6 earns a commission if you purchase, at no additional cost to you. 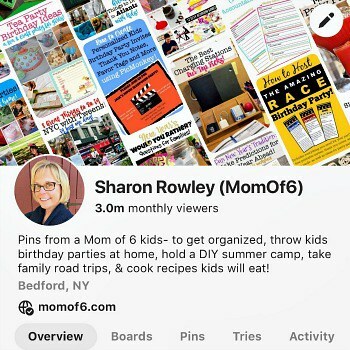 over on my Amazon influencer page This is an affiliate link: MomOf6 earns a commission if you purchase, at no additional cost to you. ! Your tween will love playing this game with their friends- and it's even fun for the whole family to play together! 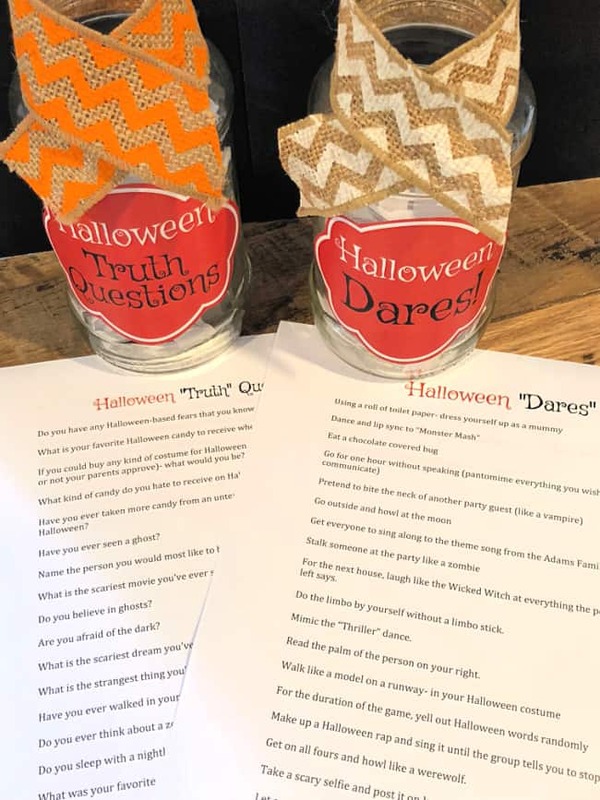 Download Your Free Printable Halloween Truth or Dare Game! Do you think your kids will love this fun Halloween party game? 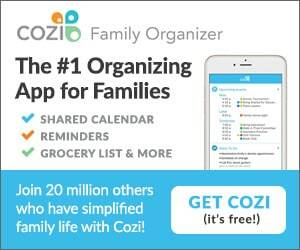 « How Busy Moms Organize Paperwork!